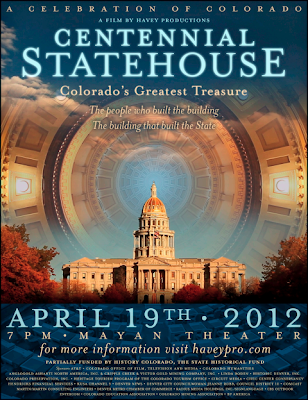 Centennial Statehouse: Colorado’s Greatest Treasure is a new Telly Award-winning film from Havey Productions that tells the story of the Colorado State Capitol – The people who built the building, the building that built the state. Jim Havey grew up on Chicago's "South Side," eventually surviving 16 years of Catholic education with a degree in Political Science and Sociology from St. Ambrose College in Davenport, IA. Continuing west to Denver, Jim worked with troubled youth for seven years while developing a passion for photography and multi-image production into a new career with Havey Productions starting in 1979. Jim's territory includes photography/cinematography, project development & management, script development ...and dish washing. Favorite f-stop: 2.8 ...because the more you can let go that which does not matter, the more vividly that which does snaps into view. It is now available on DVD! View the trailer below and get your copy here.